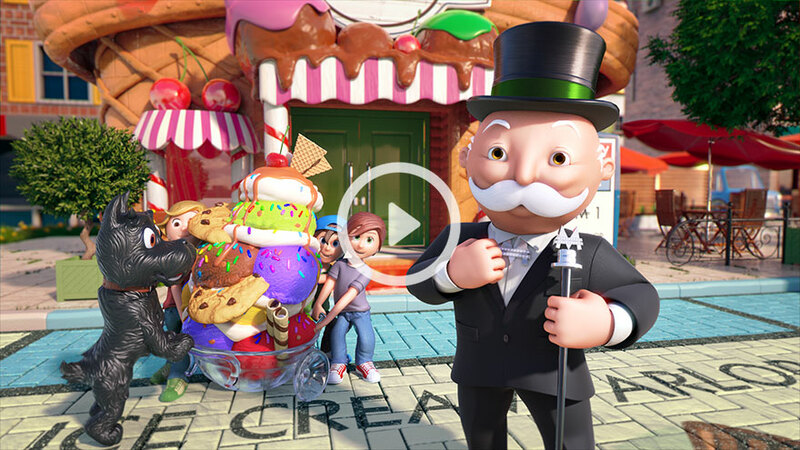 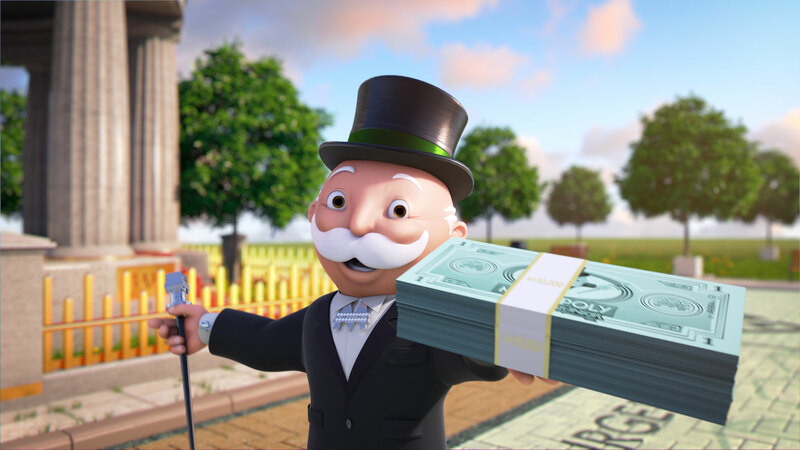 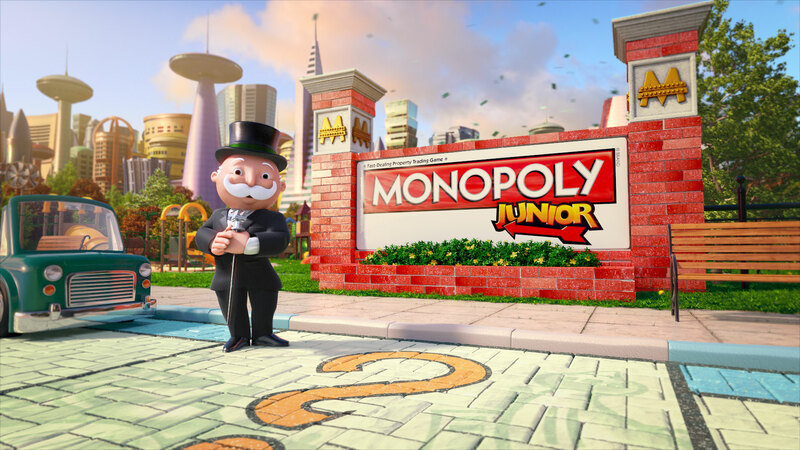 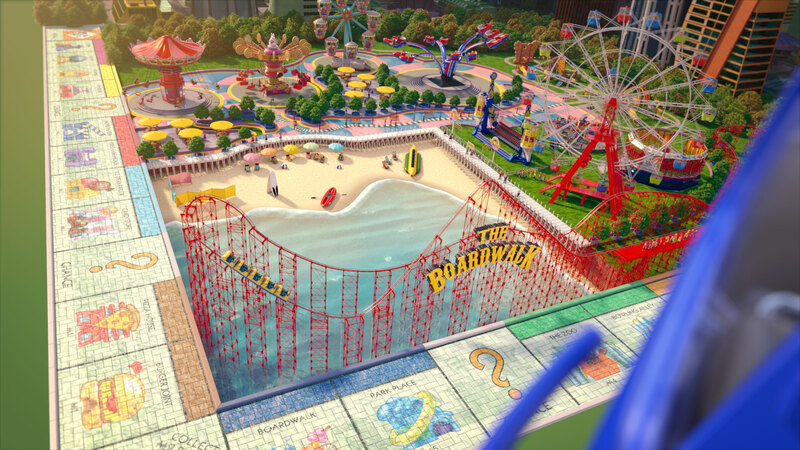 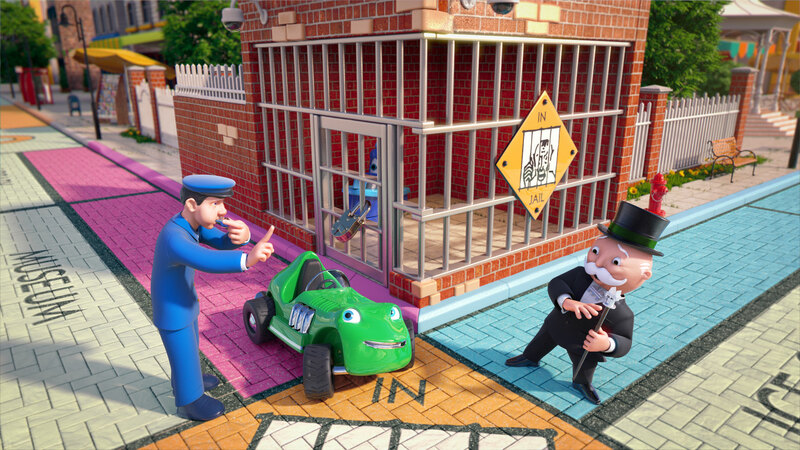 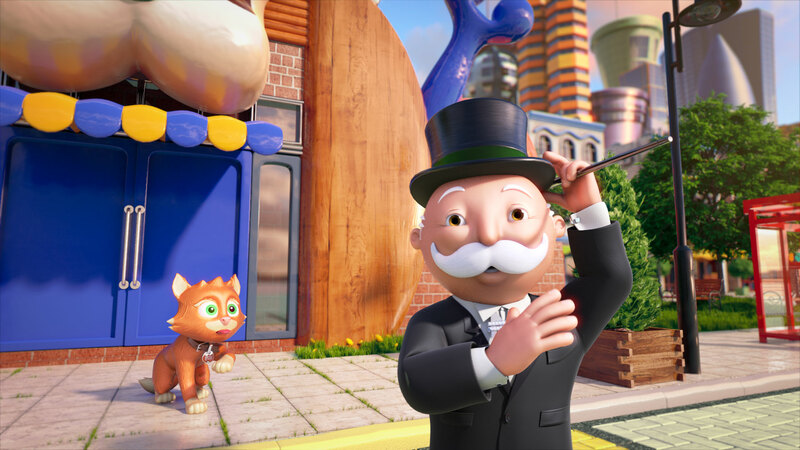 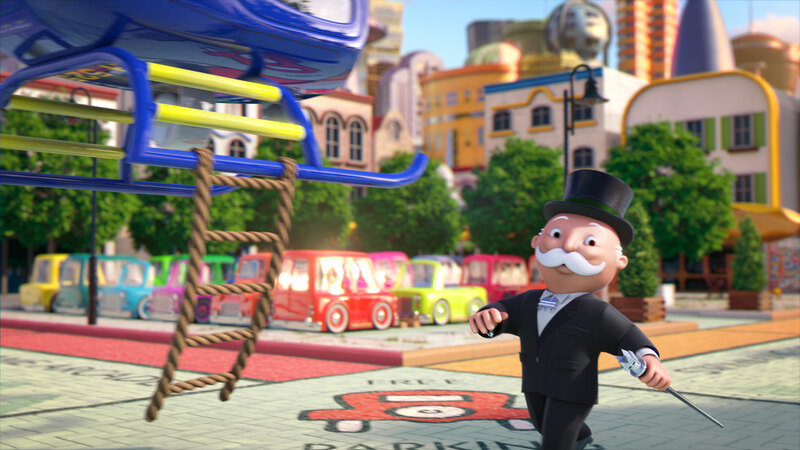 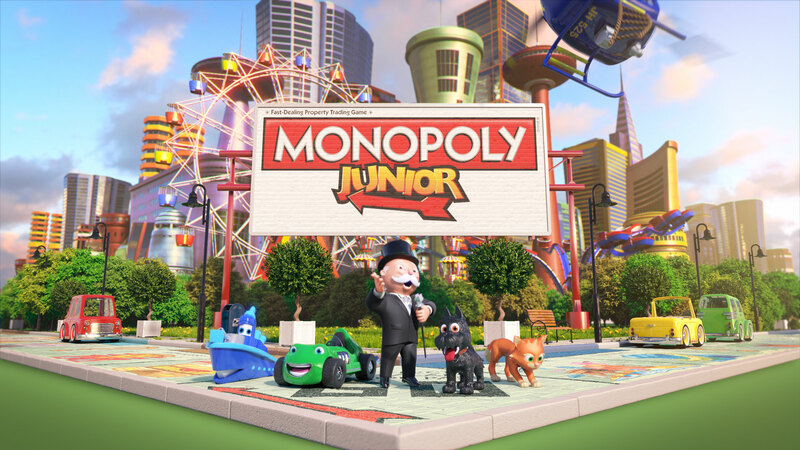 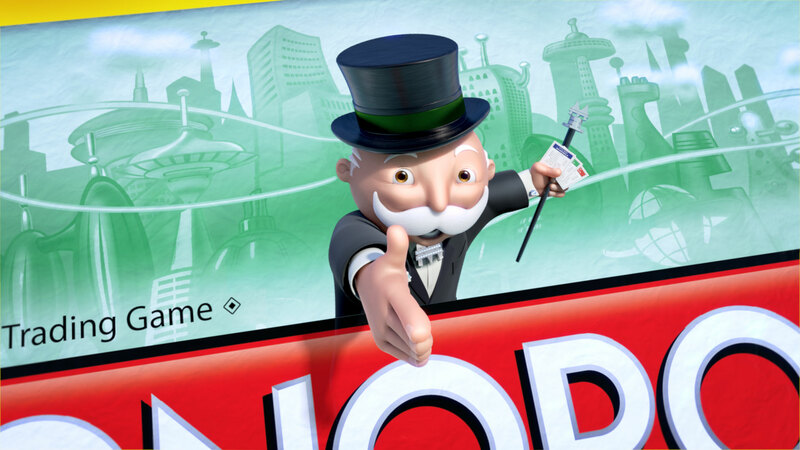 Welcome to Monopoly Town, with your gracious host: Mr Monopoly himself! 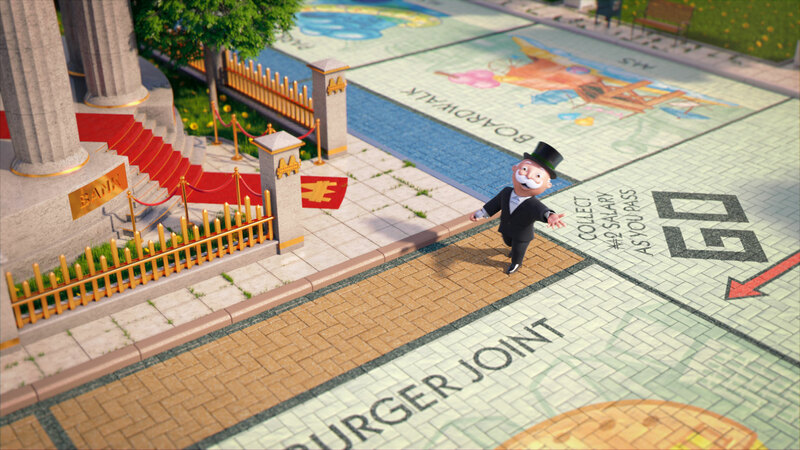 Take a journey around the most famous of board games, brought to life in all its dice-rolling, token-chasing, property-purchasing glory! 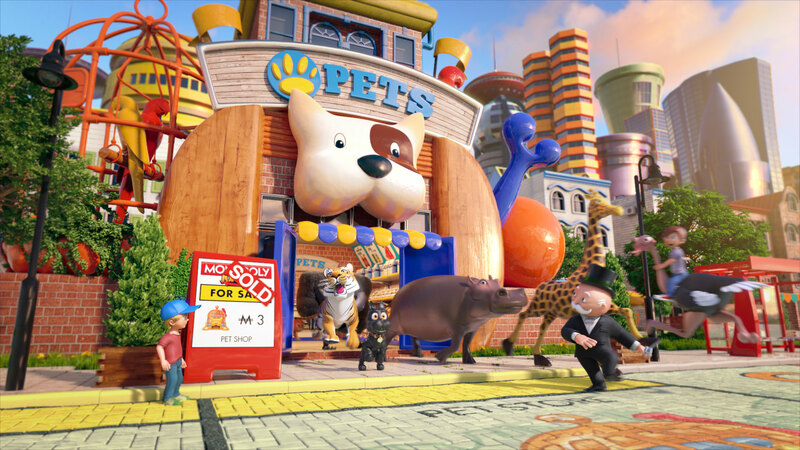 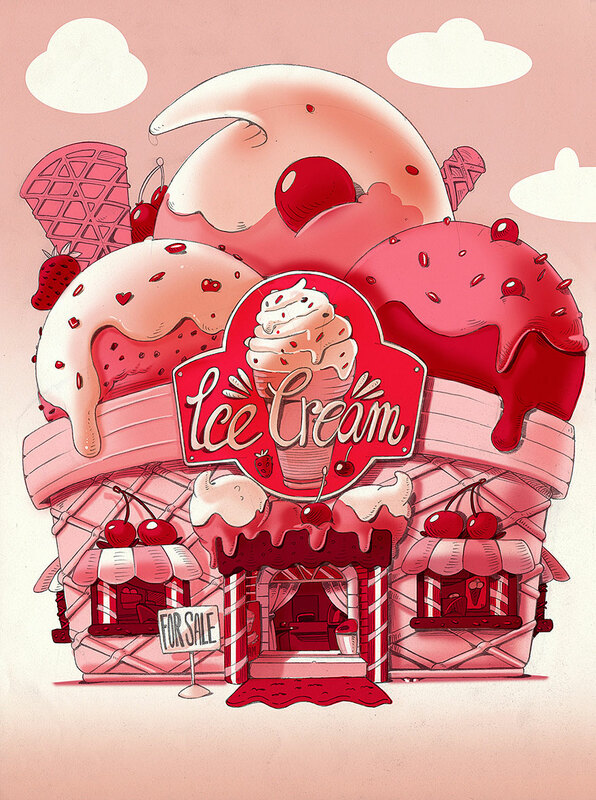 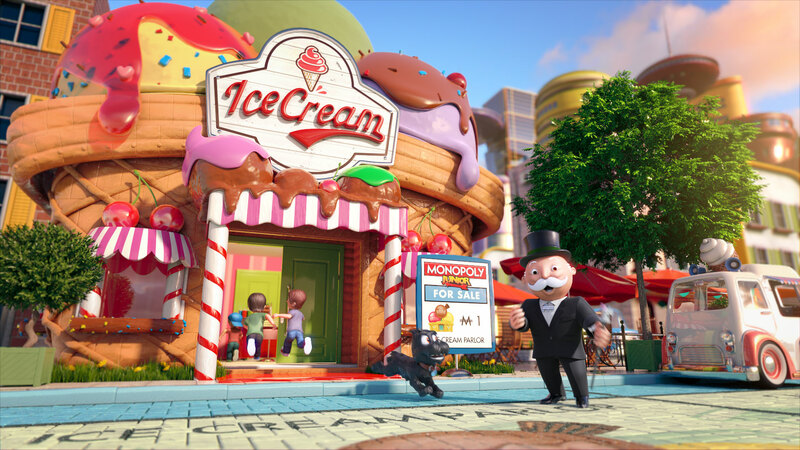 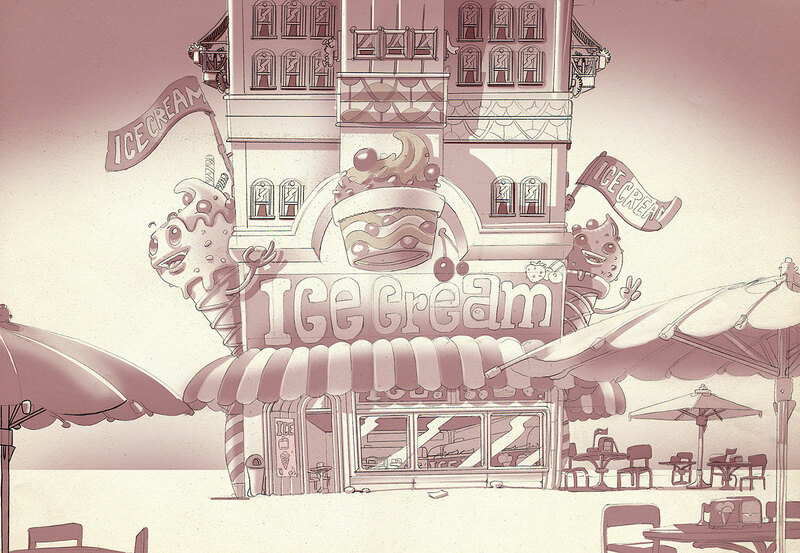 The brief was simple –Monopoly Town is a fantastical, over the top place, where you can buy a gorilla at the pet store and tuck into a 6’ ice cream sundae with your pals. 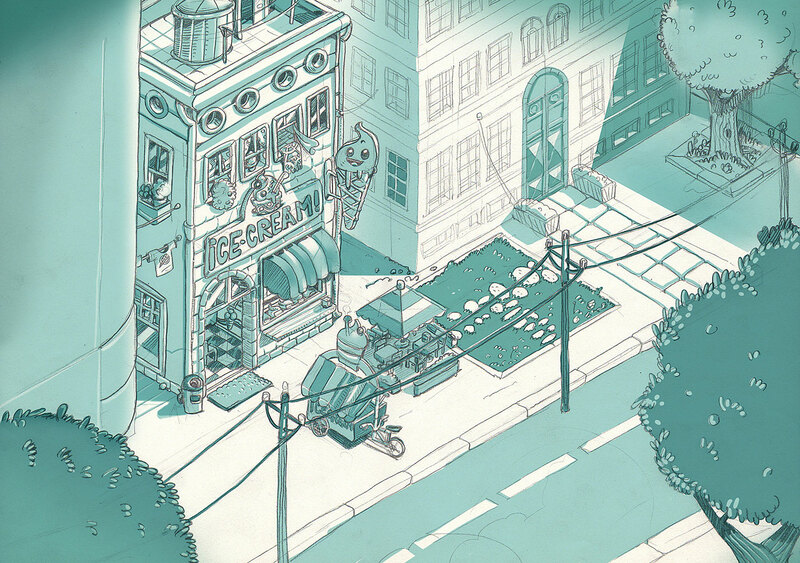 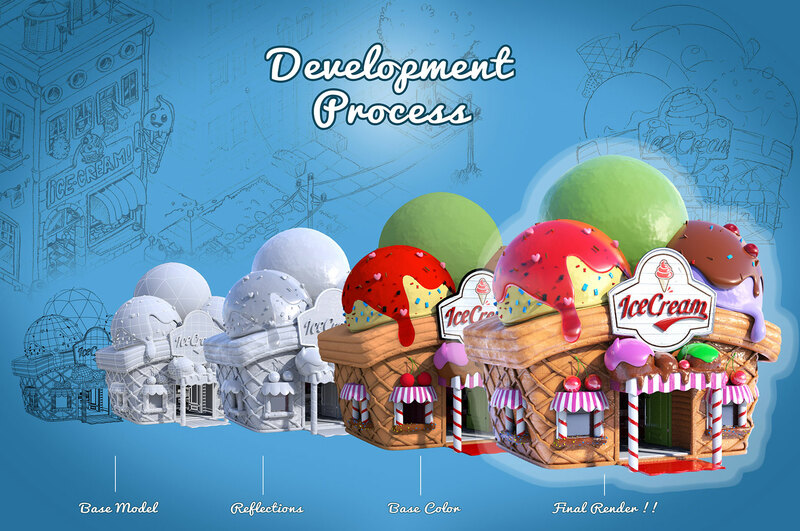 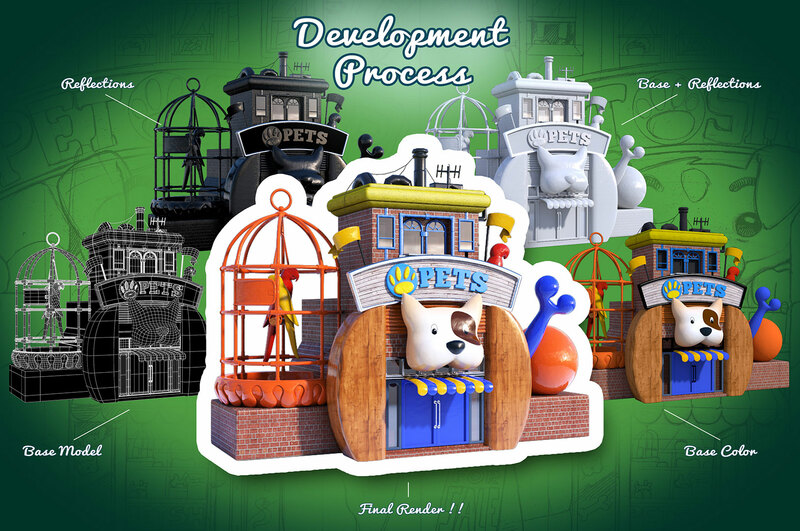 We lovingly the crafted the environment with quirky, game-inspired buildings and styled it with real world lighting and textures, to achieve a rich, fun and welcoming atmosphere.